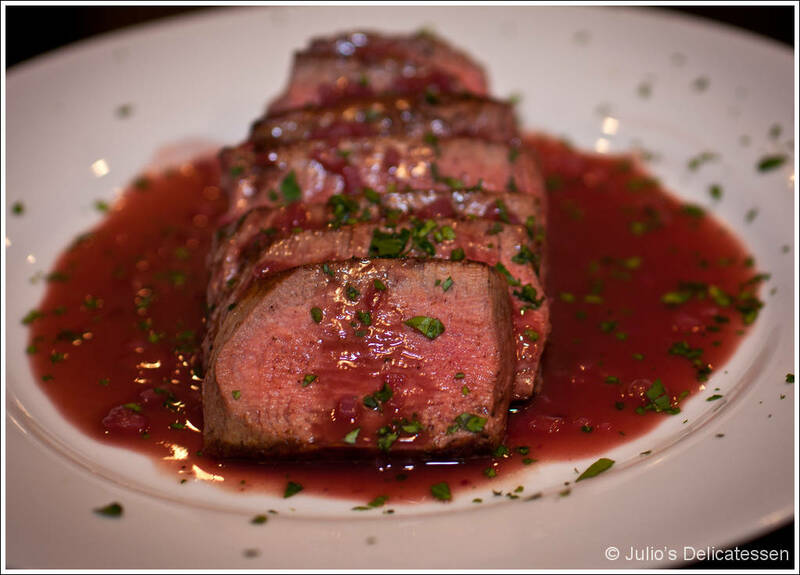 Beef tenderloin is perfectly tender but not very flavorful, so it’s almost always better served with some kind of sauce. This red wine sauce is a pretty classic preparation. In Mastering the Art of French Cooking, Julia Child includes a recipe for this dish that also features mushrooms. 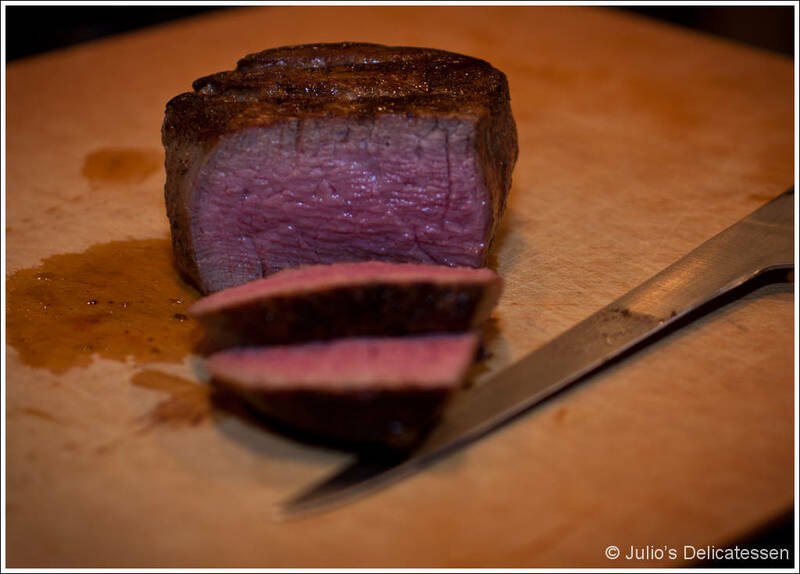 The beef needs to rest for a few minutes after coming out of the oven but before serving, providing just the right amount of time to finish the sauce. 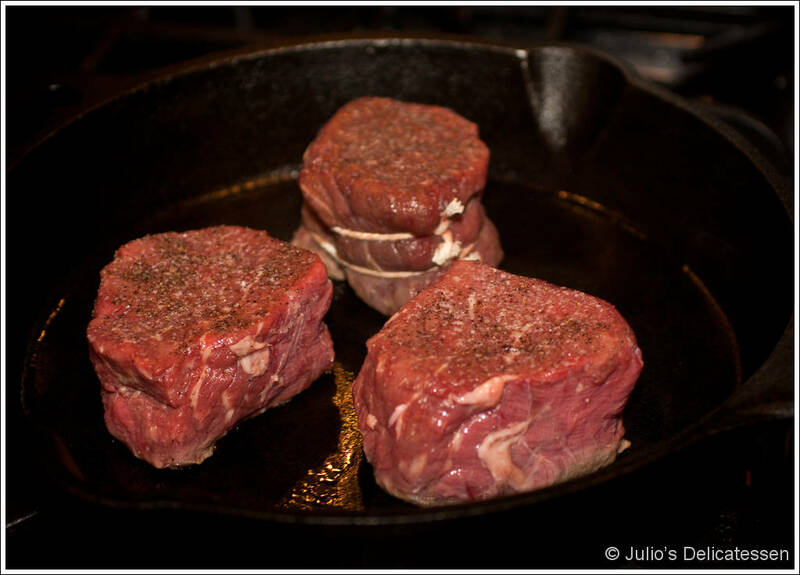 About an hour before cooking, set the steaks on the counter and allow to come to room temperature.Preheat oven to 425. Rub the steaks on all sides with the oil, then season with salt and pepper. 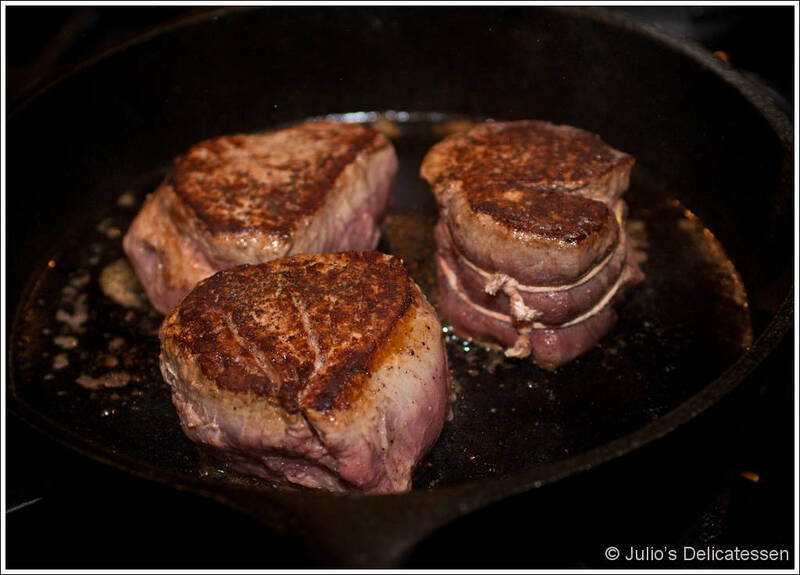 Heat a skillet (cast iron is best) over medium-high heat. Add 2 Tb of the butter and immediately add the steaks. Brown both sides, about 5 minutes per side. Transfer the pan to the oven and cook for another 7 – 9 minutes. 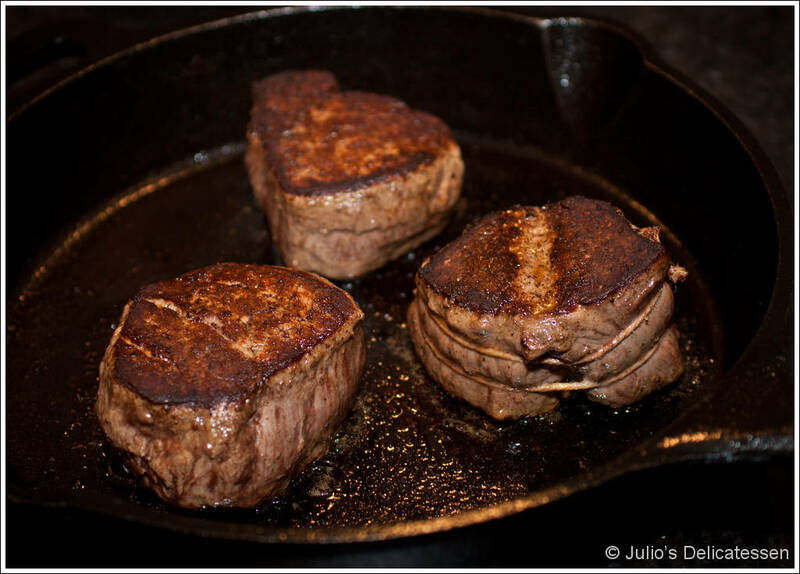 Remove the pan from the oven and transfer the steaks to a plate to rest. Place the pan back on the stove over medium heat and add the shallots. Cook for 2 minutes, then add the wine. As you bring the wine to a simmer, scrape all of the fond off the bottom of the pan. Simmer until the wine reduces by half. Remove from the heat and whisk in the remaining butter. Season with salt and pepper and serve immediately. or Roth IRA with a precious metal IRA and this is a lot simpler. treated because your IRA beginning the date with the transfer. into a different retirement plan.